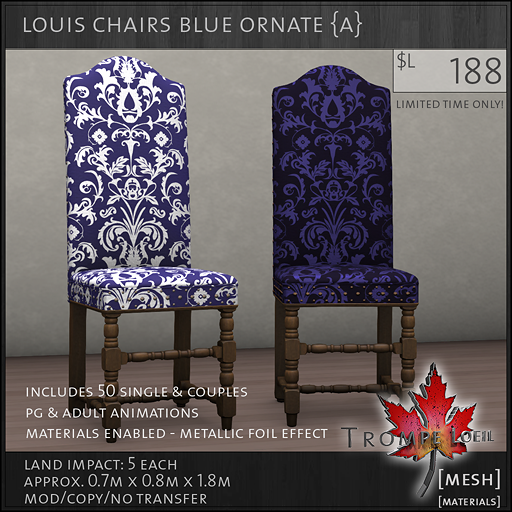 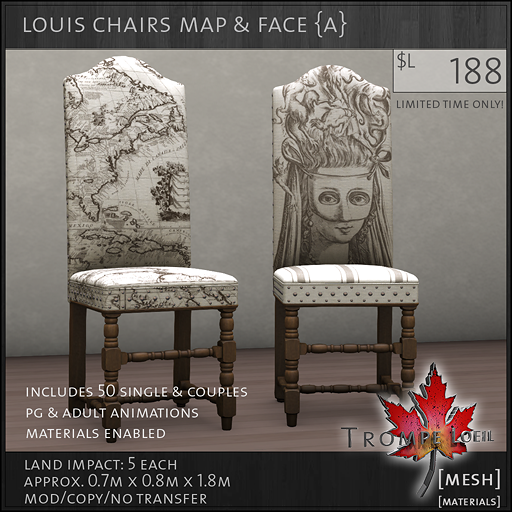 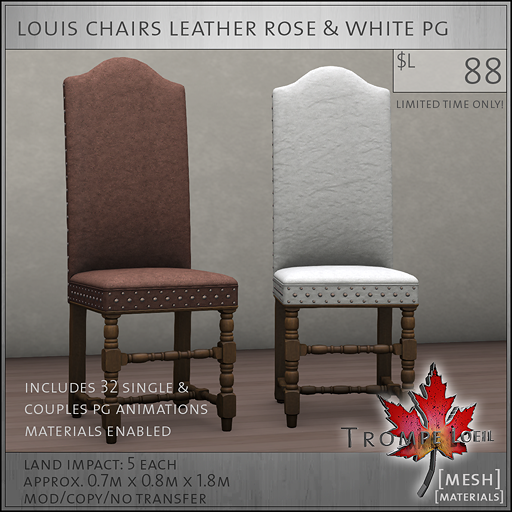 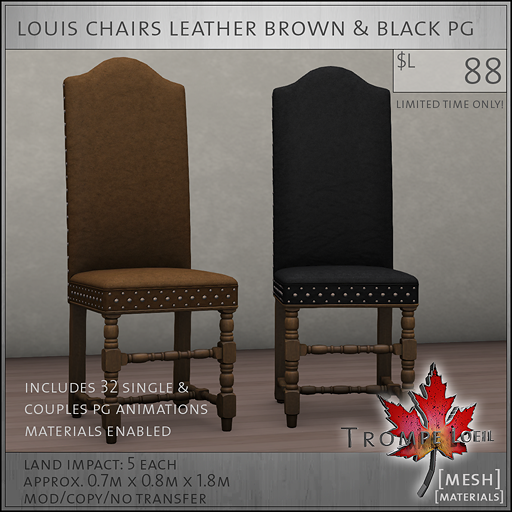 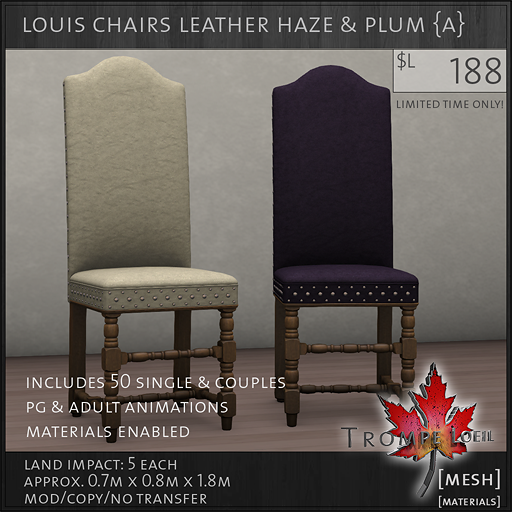 Trompe Loeil has staggered releases this month for Collabor88 – our Tuscan Villa Block will be available in a few days once we’ve put on the finishing touches, but right now you can pick up our new Louis XIV-inspired chairs and unique Trunktables in a variety of colors and patterns at super low C88 prices! 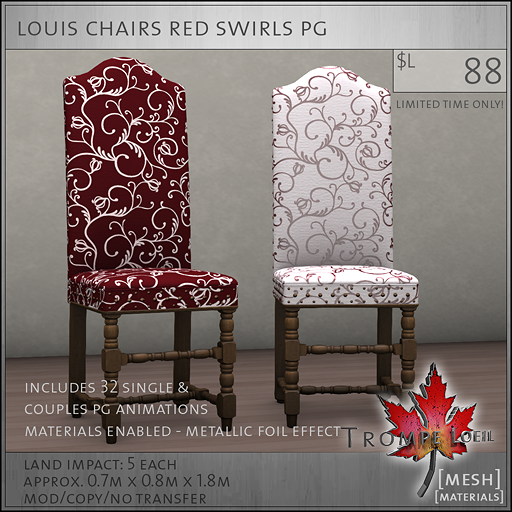 Our Louis Chairs come in sets of 2 coordinating patterns or color styles, and your choice of PG or Adult maturities. Choose from French-inspired textiles or fantastic metallic-foil effect designs that utilize specular materials for a fanastic visual effect under changing light. 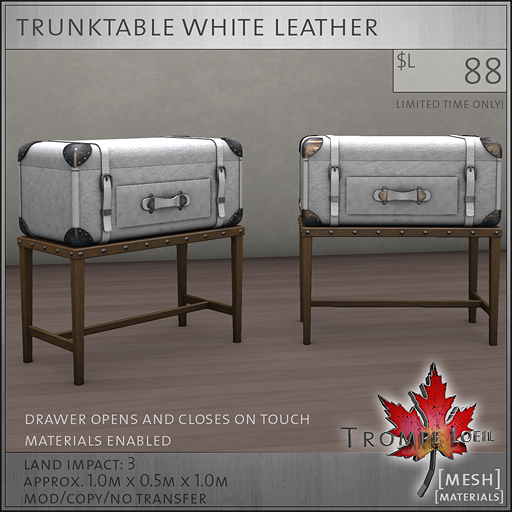 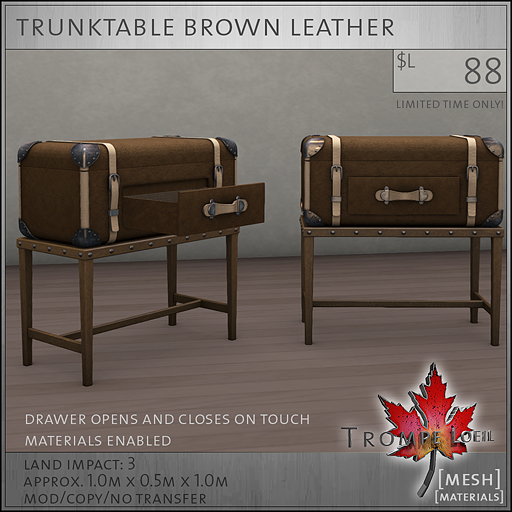 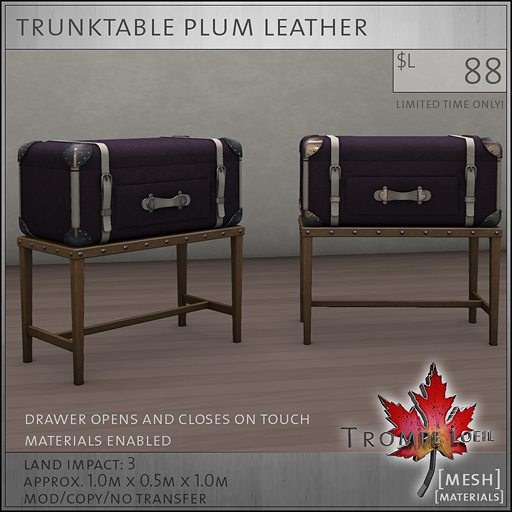 Grab our coordinating Trunktables to match – a unique design that looks great in a variety of decor settings, it combines a trunk with working drawer with an endtable that brings a pop of color to any corner of the home. 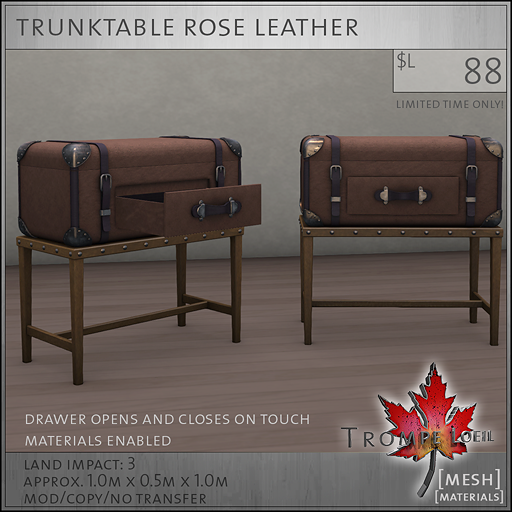 A classy addition to offices and stores too! 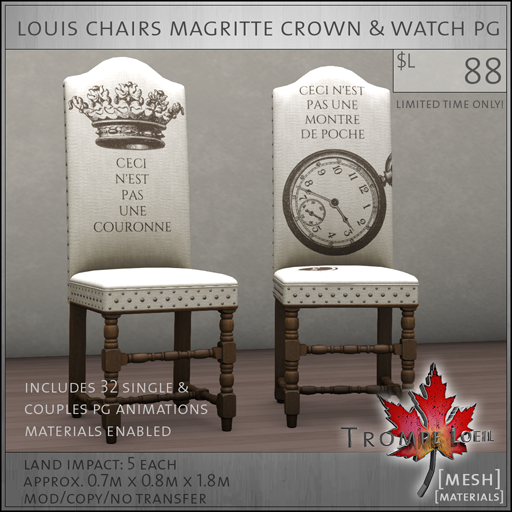 Grab these during March at Collabor88 – and stay tuned for our C88 prefab coming soon!